Leasing a car is all sunshine and rainbows until it comes to the end of the agreement and you have to worry about ensuring it’s in the best condition for its return. The leasing companies are very thorough with their checks, so if you have any cosmetic damage on your vehicle and they spot it on their inspection, some of them can charge you a bomb for these end of lease car body repairs (the type of extortionate prices that will have you clutching at your chest from shock). Now, you don’t need that stress on your head (or your heart), so have a read of what you need to do in order to avoid this scenario and save money on your lease car body repairs! What Happens When I Return My Lease Car? 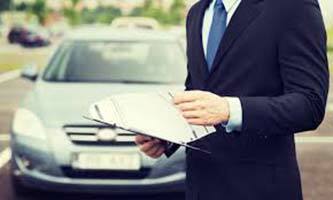 Essentially, when you return a lease car at the end of your agreement, the leasing company will send out a delivery/collection driver to where you’re located to briefly examine your car. They’ll note what the ‘general’ condition is (e.g. clean, dirty) and whether there are any obvious car body damages that they can see, whilst also recording the weather condition too. Once the car returns to the leasing company, they will then examine the vehicle more thoroughly and quite often you can end up with a bill for damages to the paintwork/upholstery/alloys. Even if you’ve previously got a repair done but it was not done using correct materials and to a high standard, the lease company can charge you for corrective repairs, which may include repainting a panel again. As we’ve mentioned, on most occasions their fee’s will be much higher than normal bodyshop prices. How Do I Avoid Paying Their Overpriced Fees? In the scenario that you don’t have any prior repairs done on your vehicle and you leave it to the lease company to fix any damages, you’ll be looking at a pretty hefty invoice from them. However, if you want to save yourself from that financial hit, take restoring your car back to its best condition into your own hands! Your best and cheapest option is to get a bodyshop to look over the vehicle and give a free estimate before the lease company take it away. 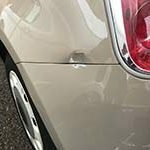 A bodyshop will not only charge you reasonable fees, but they will also examine your vehicle and recommend what car body repairs will be required and which ones will not be. To expand on this, your car will naturally deteriorate from everyday use, which is understood and accepted, so it’s important you know what the difference between damage and natural wear and tear is. For example, prominent chips, cracks, dents and holes are classed as damage and if you return your vehicle with any of these blemishes on your car body, you will most likely be charged with a penalty fee. So it’s best to get these fixed before the leasing company take back the car. However, if you’ve collected some light scratches on your vehicle, for example, light circular scratches that build up from car washes over time, then this may be acceptable as long as they don’t penetrate the primer or metal of the paintwork. So are you reaching the end of your lease agreement and feeling a little nervous over the current condition of your car? If so, don’t take any chances, get a bodyshop (we’ve heard Bodyteq are pretty good) and get them to look over your vehicle and give a free estimate for the required end of lease car body repairs, before the lease company take it away! If you chose to bring your car to Bodyteq, you’ll be pleased to know we are an insurance approved repairer. We use genuine paints and true HS (High-Solid) lacquer for maximum protection and durability, all backed up by a 5-year paint guarantee. So book in with us today!